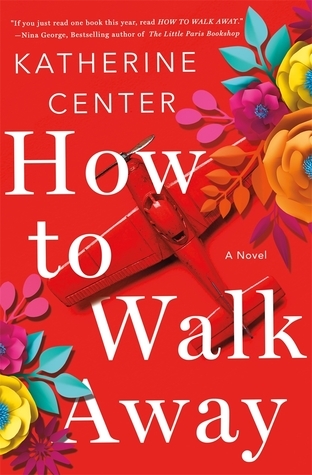 Maya Aziz is seventeen and feels as though she’s caught between two worlds – the life her parents want her to lead as a dutiful Indian daughter, looking to be paired up with a Muslim boy that they choose for her, and the life of a typical Chicago-area teenager, hanging out with her friends and crushing on the white boy she’s not allowed to date. When a crime is committed far from her neighborhood, issues that Maya has ignored for years within her community suddenly come to the surface, and her teenager problems don’t seem so bad anymore, now that she is facing real issues. 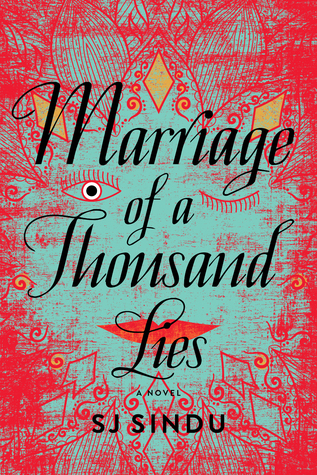 This was an interesting novel for me because I appreciated what Samira Ahmed did with the plot of this book. The first half of the book is very YA with a multicultural twist – teenage girl with parents who don’t understand her, she has a crush on a guy who is “wrong” for her, she is culturally different from most of her friends but in general fits in pretty well, you know the drill. Very standard but good for YA stuff. Then halfway through the book, this Major Event happens, and supposedly changes the way that the main character, Maya, sees the world around her and possibly herself. Although, to be honest, I’m not sure how successful the melding of these two story lines was, and that’s the main issue I had with the novel. I felt that Ahmed was trying to do too much with the book in a way that never really gelled for me. I believed in Maya as a character, and I was definitely on board with the whole dating a guy her parents chose for her while at the same time starting up a friendship with this other guy who she truly liked but knew she wouldn’t be “allowed” to actually date – that felt very YA and very fun for me to read. I just wish that the terrorism stuff wasn’t made to be this huge thing in the book because while it of course is a huge thing, in the book and in real life, I’m not sure that Maya as a character treated it as such, which felt a bit inauthentic to me and didn’t mesh with the Maya I thought I’d gotten to know throughout the beginning of the book. On the other hand … as I’m writing this I also feel that Maya handled the situation like any other teenager would – yes it’s a big deal, yes she has to think about things a bit differently, but there’s school and boys and getting into college and all that other stuff on her mind. So I’m torn. 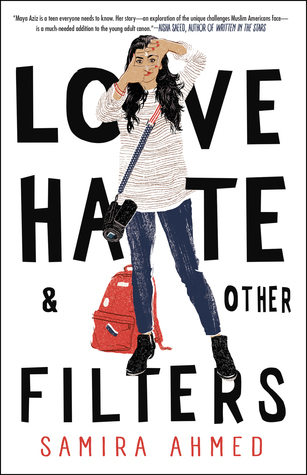 Overall I did like the writing, did like the main character, and strongly believe in more books being published that do what Love, Hate & Other Filters does. So I do recommend the book, even though I personally felt that some aspects of the plot fell short. One decision by a high school student with his entire life ahead of him changes everything for the characters in this book. Nina Browning is happily living in a rich person’s bubble in Nashville – her husband sold his company for millions, she spends her nights at galas, and her adored teenage son is headed to Princeton next year. Tom Volpe’s daughter, Lyla, goes to the same school as Nina’s son, but Tom lives a much different life – working super hard to support Lyla as a single father after her mother left when she was little. When Nina’s son takes an incriminating photo of Lyla and posts it with a racist caption, their lives collide and none of them will ever be the same. This is going to sounds strange, but for me, All We Ever Wanted was equal parts entertaining and obnoxious. 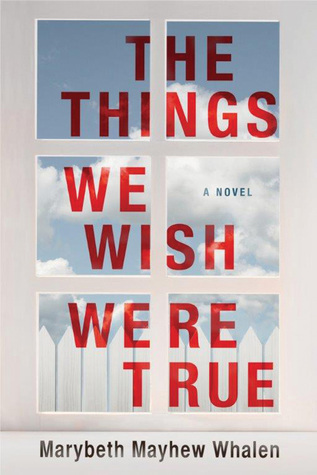 It has all the classic elements of an Emily Giffin novel – intriguing characters who make interesting/horrible choices and learn from their mistakes, snappy dialogue, a smart female lead character, plots that feature elements of stuff that could happen to just about anyone, and a tidy resolution that leaves everyone feeling (mostly) happy at the end. I may be simplifying things a bit, but for me this was a really basic story. Where it gets interesting is what Giffin chose to do with the development of the characters over the course of the novel. In the beginning of the book, Nina is, to put it bluntly, selfish and spoiled. She wants to believe she’s a good person, because she was raised modestly, loves her family, donates to charity, all of that jazz. But her husband made a TON of money and now they are living an insanely fancy life that she doesn’t exactly know how to handle. She and her husband have indulged their son to the point where he thinks he can do whatever he wants and can buy his way out of it (he can, and they do). At some point Nina realizes that she can’t go on living her life in this way, but it was annoying to me that she only realized this when she started believing her husband was cheating on her and the fact that her son is not a good human being was thrown in her face by this horrible thing he did. It took these huge things to happen to her for her to look at her life and begin to rethink what her priorities are/should be. I did feel for Nina but I couldn’t help being so annoyed by her for so much of the book. She was so oblivious to the realities of her own life, although once she started to rethink things, I did like the person she started to become. The whole wrong side of the tracks thing about Tom and Lyla was also not my favorite element of the book. The mixed-race girl lives in the poor side of town while all of the white kids life in the rich part? Boooooring. I don’t know. It was just too predictable and a bit overdone in my opinion. I liked Tom and Lyla but there was nothing about their story or their relationship that really surprised me or made me think. I know it seems like I’m hating on this book but I did enjoy the reading experience. I liked getting to know these characters and following their trajectory through what was a very difficult time in all of their lives. Giffin can be a bit formulaic but the formula really works for her, and I can see why she has so many fans (I’m one of them!). While All We Ever Wanted had some issues, I definitely had fun with it and liked the book. Pepper Schuyler has just finished restoring a vintage Mercedes and sold it at auction, with the resulting funds earmarked to take care of her and her unborn child for the next several years. It is 1966 and even though Pepper is an independent, savvy woman, the fact that she had an affair with a married, important politician and is pregnant with his child would be a huge scandal if word got out – so she needs to take care of herself and not rely on anyone else. Meanwhile, the car’s new owner, Annabelle Dommerich, has secrets of her own. She purchased the car because it was the exact same car she used to flee Nazi Germany twenty-five years earlier. As the two women get to know each other, Pepper learns that Annabelle’s story is shocking and inspiring – and she still has unanswered questions about her future, just like Pepper. I am a Beatriz Williams fan like you wouldn’t believe. I haven’t read all of her books, but every single one I’ve read has been nothing short of delightful. 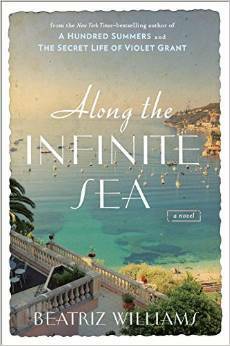 Along the Infinite Sea is the third book in her series about the three Schuyler sisters (I read and HIGHLY enjoyed the first two) and what I liked about this trilogy is that each of the three are absolute stand-alone novels as well. I was surprised to find that while I was interested in Pepper’s story, it was the story Annabelle told that truly swept me away and didn’t allow me to put the book down. There is so much intrigue surrounding Annabelle’s story. The gist of it is this – she had a passionate affair with a man named Stefan who she fell madly, deeply in love with in the first few days of knowing him. Stefan left to “take care of things” and while he was gone, she heard through a friend of a friend that he was married and planned to stay with his wife. While she was learning this awful fact, she met a man twenty years her senior, Johann, who had recently lost his wife, was raising four children on his own, and had a very important position in the German military. When she told Johann of her pregnancy, he offered to marry her, raise her baby as his own, and give them both the life he thought they deserved – so, thinking she would never see Stefan again, she agreed. The rest of the book is a breathless tale of learning what happened to Annabelle as she discovered that her husband is not only in the German military, but is a full-on Nazi, and she hopes against all hope that she may see Stefan again someday. At one point the reader isn’t sure if Annabelle ended up with Stefan or Johann, as the book goes from past to present, and in the present her “husband” is alluded to in such a way that it could have been either man. Of course, as the reader, you have a major hope that it’s one over the other (love over money, obviously!) but it’s really unclear until the last few pages what Annabelle’s life turned out to be. I was on pins and needles throughout this ENTIRE book – hoping so very desperately that things would turn out for Annabelle, that she would end up having this incredible life with a man who truly loved her and she loved him deeply in return. On top of the love story, please keep in mind that this is pre-World War II we are talking about, and we are talking about this character being married to a Nazi – oh and wait, did I mention that Stefan is a Jew? Forgot that part. So you can imagine with this awful war about to start, with terrifying attitudes about Jews abound in much of Europe, the stakes for everyone here were crazy high. It was an edge-of-your seat kind of read, in the best possible way. Pepper’s story was much more tame, yes she had a baby on the way and that was a big deal, huge concern, her reputation was in tatters, and she couldn’t even communicate with her family about her situation, but compared to Annabelle’s all that stuff is silly. At least, that’s how I felt as I was reading the book. But in these dual narrative kind of books it is inevitable to be more invested in one of the two stories than the other, so I was fine with it. I didn’t dislike Pepper, and was interested in her story, it’s just that I was always anxious to get back to Annabelle! Anyway, I really super enjoyed this novel and Beatriz Williams continues to have a place in my heart. She can be counted on to always deliver quality novels with amazingly interesting female main characters, complex individuals and exciting stories. I love her stuff and this was one more example of why I do. Read any of her books and you won’t be disappointed. The small town of Worthy, Georgia is shattered when three high school cheerleaders are killed in a car accident caused by another student at their school. Told from the points of view of four women – Ava, a teacher at the school; Marglyn, the mother of one of the cheerleaders; Darcy, the mother of the boy who drove the car that killed the girls; and Leah, the fourth member of the group of girls, the one who was not in the car that night – this is the story of how the town deals with a horrifying tragedy and how the mystery of what really happened that night is concluded. When We Were Worthy was a great reading experience – the kind of book that I can’t help but race through, desperate to find out the characters’ fate and fill in the missing details about their lives and this huge event that had reverberating impacts among the community. I loved getting to know these characters, trying to understand their motivations, feelings, and behaviors, and trying to predict how things would turn out for them. The story is told from four different points of view, and while sometimes this format can turn into a big mess, Whalen handled it extremely well, deftly weaving the voices of these four women throughout the book, gradually showing the reader each of their personalities as the book went on. One thing this novel does really well is illuminate that particular period in a person’s life that is called being a teenager. These teens think they know everything, think they understand the world around them and their part within it, and in some cases their eyes are more open to the realities of the world than the parents and teachers in their lives, but in a lot of cases they are just incredibly naïve. It is an interesting period in life for a lot of reasons, but primarily because the juxtaposition of feeling like an adult in body and mind while at the same time, not having money or freedom or the right to do a lot of things. The teenagers in this book are exactly like that – they think they get it, they think they rule the world (or at least, their small town that essentially is their world), but they have no idea how swiftly life can be taken from them, how quickly everything can change in an instant. That’s the part of life that they aren’t worldly enough yet to get – they think they are invincible and, unfortunately, nobody is. And let’s talk about the adults in the novel – they were more messed up than the kids in some cases. Every single person in this novel is dealing with demons, struggling with something, and making choices that profoundly affect their families. The adults really don’t have things together any better than the teens do, and unfortunately that comes with some majorly bad consequences for a few of them. I did like about this novel that Whalen mostly wraps up everyone’s stories in a way that is satisfying and makes sense, while not giving people a perfect, happy ending. It’s true to life the way she handles these characters’ situations and life choices. If I had ONE criticism of the book – and I really just have this one – I will say that there was one storyline with one particular character that I felt added nothing to the story whatsoever and was, frankly, unnecessary and a distraction from everything that I thought the book really should have been focusing on. However, it was an extra element of drama so I’m sure plenty of readers were interested in that particular plot line. I just didn’t think it was helpful to the overall story at all. Anyway, I really liked When We Were Worthy! It was equal parts character-driven and plot-driven and I thought Whalen did a great job with both elements of the book. Highly recommended. Lucky is a gay woman married to a gay man, Kris. The two of them decided to get married after they both attempted to come out to their conservative Sri Lankan families and were met with the immediate reality of their families wanting to disown them. They’ve been married a few years when Lucky finds out that her childhood best friend, who she happens to be in love with, Nisha, is getting married. Armed with that news as well as news of her grandmother being sick, Lucky spends a few months at her mother’s home in Boston, forced to confront the truth about herself and whether she will get to keep her family, her sexual orientation, and her best friend – or if she will have to choose between the three. I adored this novel. I don’t think I’ve read any books before about the ways in which being gay plays out differently in different cultures, and definitely not what that looks like when one generation is American and the older generation is more old-school and traditional in their thinking. Lucky and Kris are stuck in this place of wanting to be loved and accepted by their families, wanting relationships with them, but knowing for sure that being themselves and being honest with their families about what that actually means will cause them to be disowned. The pain that this causes in Lucky is excruciating, and the way that Sindhu writes the character of Nisha is even more painful – she’s buckling under her family’s pressure and agreeing to an arranged marriage, to a straight man she barely knows much less likes, when she knows for one hundred percent sure that she is gay and in love with Lucky. The way that Sindhu writes these two characters with such love and care, so much nuance in their personalities and in their relationship with one another, is incredible. I truly felt their deep, heartbreaking, breathtaking pain as they tried to navigate their futures knowing full well they had no future together if they wanted their families to love them. There’s a lot going on here – it’s not just that Lucky and Kris are gay and their families don’t know, there are other issues at play, too. Lucky’s father divorced her mother several years ago after falling in love with her mother’s best friend. Lucky’s older sister, Shyama, is married to a man she doesn’t really like (after breaking up with the white man she was in love with) because the relationship was arranged by both sets of parents, and she seems miserable in her life as a wife and mother. Lucky’s other sister ran away from the family years ago after her boyfriend, a black man, was not accepted by Lucky’s parents, and Lucky hasn’t seen or heard from her in years. This family has fallen apart in so many ways, yet Lucky is still so desperate for their love and acceptance that she is literally lying to them every time she sees or speaks to them by denying her sexuality. To say that it is heartbreaking is the understatement of the year. One aspect of the novel that isn’t discussed much is the situation with Kris. He was an immigrant on a student visa when he and Lucky got married, and if they decide to be honest with themselves and divorce, he will have to go back to Sri Lanka – which he absolutely can’t imagine doing. But the complexities of this fact of his life combined with his being gay and possibly having to go back to a place where almost no one will accept him are not discussed much at all. I get that the novel is mainly focused on Lucky, but I liked Kris, or what the reader sees from him at least, and wanted more about him. In the end Lucky has to make some major compromises and decide what she needs in life in order to accept herself and be at peace with the relationships she has to give up in order to be authentic to herself. The ending of the book is bittersweet – in one way, she resolves some of her own demons, but in another way, her demons are only getting started as the reader can see that she has an uncertain future ahead of her. There are no easy answers here, and Sindhu certainly didn’t shy away from how difficult and emotionally challenging these characters’ lives are. I really enjoyed this novel and felt deeply for the characters within. Highly recommended. This is a difficult one to “review” because there really can be no argument that what is being said here is in dispute, nor can we argue that it’s not being said in an eloquent, thoughtful, intellectual way by Dyson. He is a minister, so yes this is called a sermon, and it’s written as a sermon, but there is SO MUCH here that the format really shouldn’t matter. 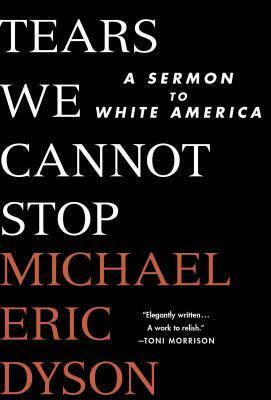 Anyone who says racism isn’t a problem in this country is either unable or unwilling to see the truth that is all around all of us, evidenced in every single institution we have, implicitly and explicitly woven throughout the fiber of the United States. As a white person, it may be uncomfortable at times to hear and see the truth of what we have done to create and cultivate racism in this country, but the truth is that we have. To ignore it is only furthering the problems and issues that centuries of hatred and ignorance have created. There is so much in this book, so much meat to mull over and think about and discuss among friends/colleagues/family, that I think Tears We Cannot Stop falls into the category of must-read. But it’s one of those books that you can’t just read through, think about for a few minutes, and move on from. It’s one that needs to sink in, to fill your brain and consciousness, to reread passages over and over until the implications of what Dyson is saying are perfectly clear. This is not an easy read, but a critically important one. Don’t miss it. So. You guys know I’m a Karen White fangirl, right? Especially the Tradd Street series – I have loved watching Melanie solve mysteries as she uses her powers of talking to ghosts to understand long-buried family secrets and drama, as well as watching as she slowly fell in love with Jack Trenholm, denied that love to herself, then watched with glee as he loved her back and they lived happily ever after. So fun, right?! So you’d think that another volume of the same stuff would be music to my ears, yes? I thought the same thing. Unfortunately, The Guests on South Battery was just okay to me and I’m left wondering if maybe I’m done with the series and I should leave Melanie and Jack in the happily ever after stage of my brain. I honestly got super annoyed with Melanie. She’s just so oblivious to so many things – like the fact that she gained weight while pregnant and never really lost any of it (who cares, honestly, but everyone around her seemed to want to point it out and she either ignored them or really didn’t see it herself, either way is fine, but it was an annoying aspect of the book). She is suspicious of Jack’s every move and always concerned that he’s going to leave her – almost like she can still not let herself believe that this man loves her. He MARRIED you and the two of you have two children together – I wanted her, at some point, to just trust this guy and let go, to love him with her whole heart instead of continuing to hold back. It aggravated me to no end. The mystery part of the book I actually quite enjoyed. It had to do with a house haunted by a mother and daughter, people who Melanie’s mother Ginnette knew when she was much younger. 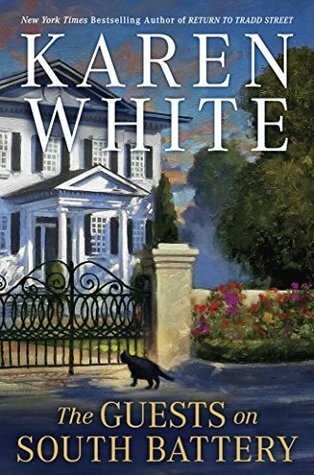 The mother, Anna, was a terrifying ghost and this continues to be one of the reasons I read these books – I love how Karen White makes these ghost stories scary-ish but still a lot of fun. That element of creepiness was definitely there, but it is done with a light touch. I have to admit that when the secrets these ghosts were keeping were revealed, there were really no surprises to me, but still I enjoyed this part of the story. I enjoyed this book to a degree, but on the other hand, Melanie in general is just beginning to grate on my nerves. I’m not sure I’ll continue with these books if White keeps writing them, unless I hear somehow that Melanie’s personality drastically changes in the next novel (not likely). I’m okay with enjoying the first few books in the series and just leaving it alone after that. I’d still recommend the series, for sure – but perhaps I’d suggest reading the first four and stopping there. I read this book over two months ago so please forgive my short but sweet thoughts on it. This is Whalen’s grittiest novel to date and I absolutely loved every second I spent with it – these characters were realistically flawed in the best possible way, their interactions rang true to life for me, and WOW was there drama. This community is extremely fractured, it is a total mess, and the people who live in it have some serious issues. Everything is intertwined, everyone knows everyone and has a history, many have secrets, and all of it just comes together so well. Many of the twists and turns surprised me but, for the most part, all felt natural and entirely feasible. Whalen weaves such a complicated and intricate web of characters and situations that are all related, but the cast of characters never feels overwhelming or too much here. It all just works together seamlessly, her storytelling is perfection, and I truly could not put this book down. As I said, it’s been a while since I finished the novel but the characters have found a place in my head and in my heart and I would absolutely read another novel set in this same fictional neighborhood. I love books featuring sisters. I have a sister with whom I have a very complicated relationship. I love my sister a lot but we are very different people and that has caused issues between us over the years. As we’ve grown up, we’ve grown much closer and I am extremely grateful that I have her and I know she feels the same. But still – relationships between sisters are extremely complex, and what I’m saying is that I know firsthand just how difficult they can be. So I expected to love this book. Love it I did not. I didn’t hate it but overall the novel just never fell into the groove for me the way all of Giffin’s previous books have. I have always really loved the way that Giffin creates complicated main characters who make bad choices and hurt people, but you as the reader understand their motivations and love them anyway. That was not the case in First Comes Love. These two women, Josie and Meredith, are SO unlikable that it’s almost funny. I honestly couldn’t care about either of them enough to want to sympathize with their situations. Nothing either of them did or said showed me that they were actually people I could relate to, people I could see myself in, people who were essentially okay humans just trying to get through life somewhat unscathed. Since I didn’t get any of that, the book overall fell really flat for me. 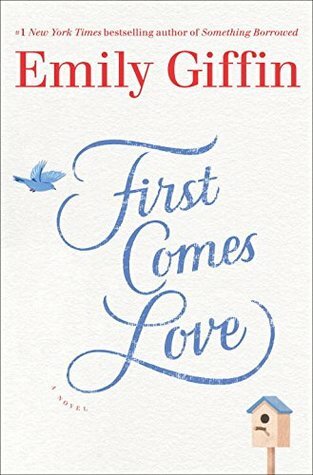 It’s disappointing because this is truly the only Emily Giffin novel I haven’t enjoyed. Which I guess is an okay thing – the woman has written like ten books and I’ve mostly loved all of them. So I guess she’s allowed to have one I don’t love every now and then. But still, quite a disappointment for me. 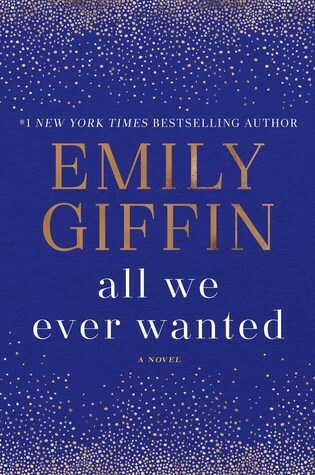 If you want to read Emily Giffin, please do! She’s actually quite an incredible writer. May I suggest you start with her first novel, Something Borrowed? Now THAT is a book about a good person making bad, hurtful choices but you love her anyway.